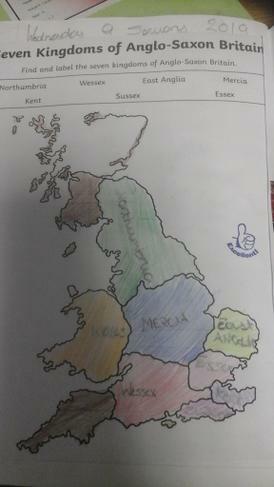 In Year 6 we are studying the Anglo Saxons. 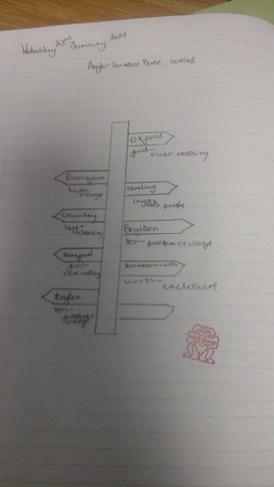 In a topic lesson we were given a list of settlements. 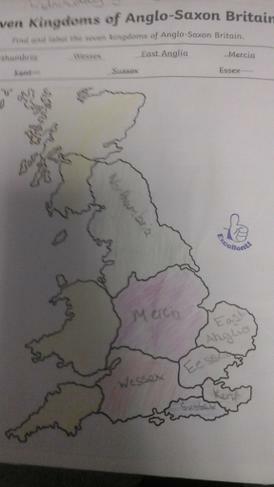 We then used an atlas to help us locate the Anglo Saxon settlements. 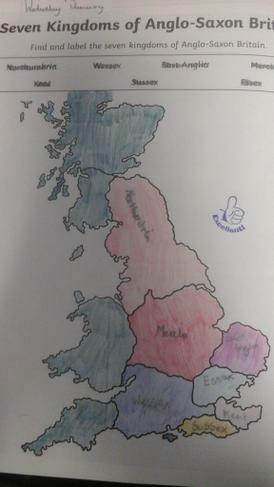 We labelled a map of England and colour coded each settlement. 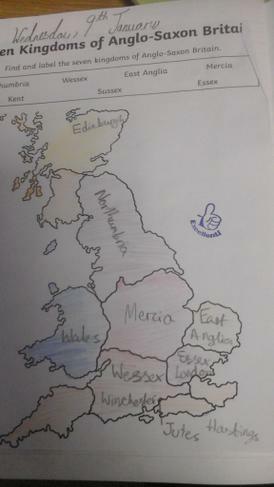 In 6LJ, we've been learning about the Anglo-Saxon kingdoms in England using Atlases to locate them. 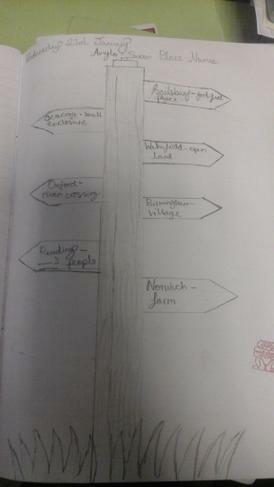 We also learnt about the roots of many British town names that come from Anglo-Saxon words with specific meanings.